We offer an extensive range of suits for Body Protection Products. These body protection suits offer a full protection against all the mechanical & welding jobs, as well as protection from chemicals and heat. 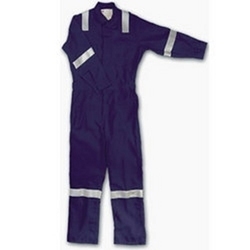 These body protection suits are shock absorbent and are available in orange and blue colors boiler suit. 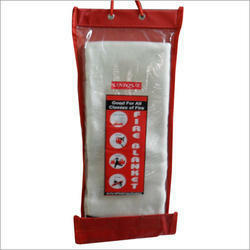 Fire Blanket are made of fiberglass materials. They are particularly useful for home, garage and kitchen for wrapping round a person whose clothing is on fire. 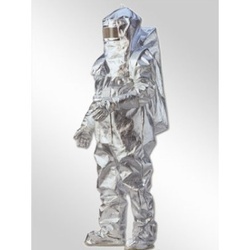 A wide collection of Full Aluminized Complete Body Suit is produced by us. Fabricated with premium quality raw materials these suits are properly stitched with Kevlar thread. With a variety in sizes these suits are ideal for the persons working in nuclear plants, thermal power stations and other industries where chemicals & radiations can affect human body. We are presenting Cover All Dangri that is manufactured from the finest grade 100% cotton for day-long comfort and freshness. These are provided with multiple pockets for working convenience and can be customized as per customer’s specifications. We have rigid standards of quality norms in accordance with international standards and offer these at industry leading prices. Looking for “Body Protection Products”?